Bird's-eye view. Relief shown by shading. Oriented with north to the upper left. Includes index to points of interest and 9 ill. 1 view: photocopy; 32 x 55 cm. This map is in the public domain. 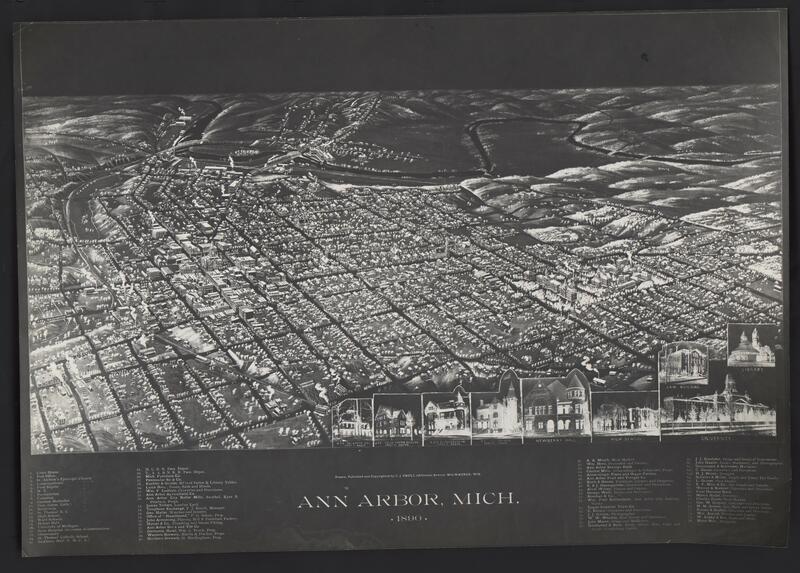 Please attribute access and use of this digitized map to the Stephen S. Clark Library, University of Michigan Library.